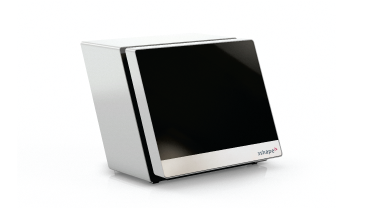 3Shape’s D800 series scanners are designed for medium to large labs that demand the utmost accuracy and detail levels for even the most advanced indications. 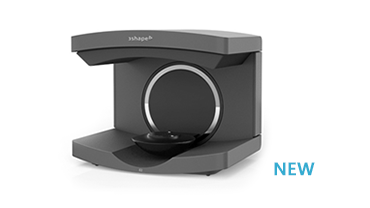 With its new and unique Texture Scanning capabilities plus 5.0 MP cameras, 3Shape’s D800 series scanners wield the market’s most advanced 3D scanning technologies. 2 cameras with reduced angle enables impressions, deep inlays and full undercuts to be scanned effectively. The 3-axis motion system tilts, rotates and translates the object, facilitating scanning from any viewpoint – more than 350 degrees of a sphere. All standard scan indications and in addition impression scanning, post & core, 16-unit bridges, articulated antagonist model, wax-up bridges for copy milling, deep inlays, pre-preparation model, un-sectioned model for temporaries, implant position and orientation detection, wax-up customized abutment and wax-up implant bridges for copy milling. The range of available indications depends on the Dental System&trade; version – Standard/Premium. Texture Scanning captures 2D images of the model surface and precisely overlays these on the 3D model, enhancing visualization of surface details and allowing technicians to include hand-drawn design guidance markings in the digital design. 3D scanning in connection with designing implant bridges and bars requires very high accuracy that few scanners can deliver. Labs all over the world are using 3Shape&rsquo;s D800/D810 scanners to produce implant bars and bridges of extraordinary quality. The 5.0 Megapixel cameras, in combination with high quality scan abutments, enable accurate 3D data capture of both implant positions and implant orientations to ensure a perfect tension-free fit.